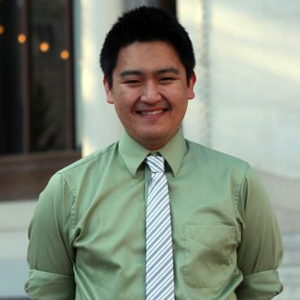 Klein Lieu is a fourth-year Cognitive Science undergraduate, and a student senator at UC Berkeley (ASUC) for the 2012-2013 academic year. Klein is a proud native of East Oakland, CA, and is extremely passionate about social justice and computer programming. Throughout his undergraduate career, he has constantly been exploring avenues to combine these two passions together. He believes that true innovations that address structural issues in society will lead to ground-breaking innovations. As a Young People For Fellow, he created online software called IMAGINE: Integrating Math And Gaming In a New Environment, software aimed at tackling the unequal access to education at his old high school through an online gaming platform. As the Communications Chair for the California Young Democrats Asian Pacific Islander (API) Caucus, Klein advocates for issues affecting immigrants and people of color across California. Now as a senator at the Associated Students of the University of California, Klein brings his expertise in computer programming with his passion for social justice and electoral politics to the table. Klein is determined to bring his values for an equitable campus to the ASUC Senate. This year, Klein is proud to represent the progressive Asian-Pacific Islander community, the Cal Berkeley Democrats, and the greater communities in the CalSERVE (Cal Students for Equal Rights and a Valid Education) coalition.